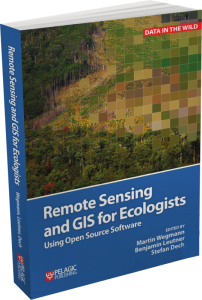 We received the final electronic proof of our book “Remote Sensing and GIS for Ecologists – Using Open Source software“. The printed versions of our book should be available soon and we are very much looking forward to it. The publisher is still offering 20% discount on pre-orders – order our book right now on www.pelagicpublishing.com using the discount code: RSGE20. 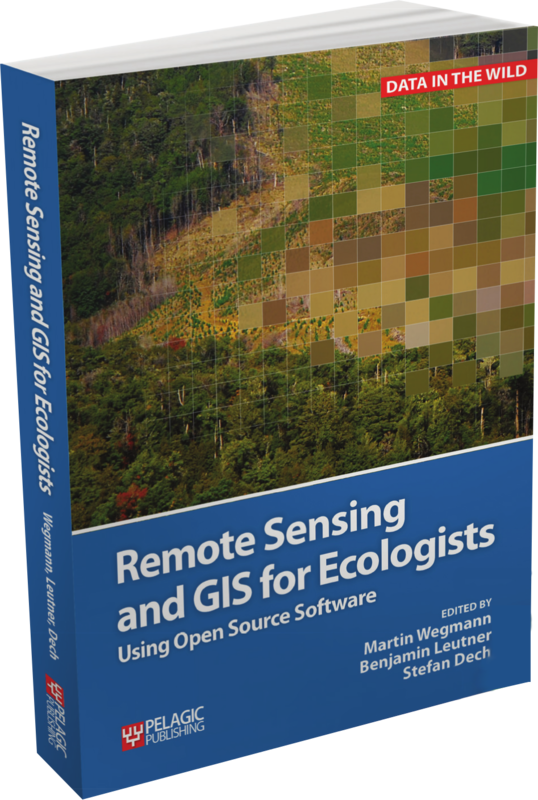 “.….With this book, Wegmann, Leutner, and Dech […] cleverly couple an exploration of satellite remote sensing with step-by-step immersion in the open source GIS and statistical analysis tools that allow one to make sense of the remote sensing products. In my experience, this book is unique in walking the ecological reader through the actual steps necessary to create their own remotely sensed products. It is more than an introduction to the principles of remote sensing and GIS. 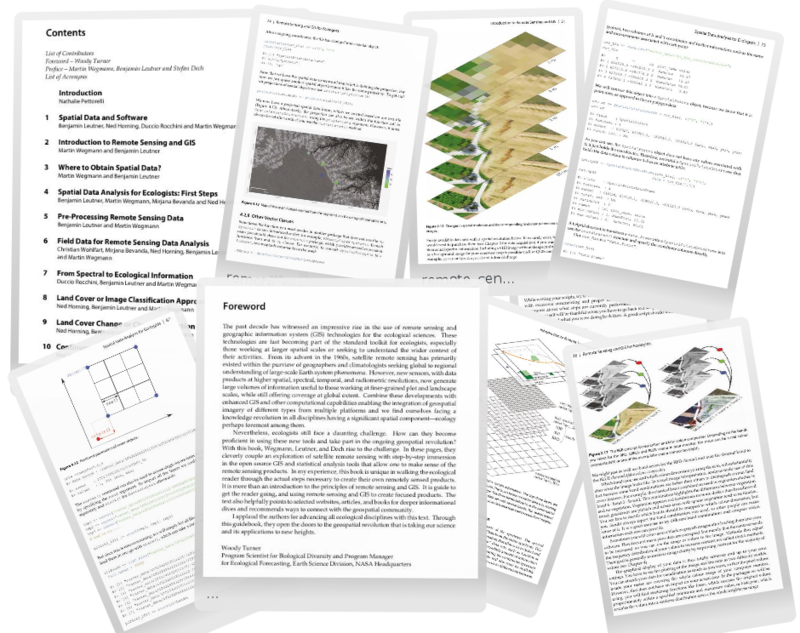 It is guide to get the reader going, and using remote sensing and GIS to create focused products. The text also helpfully points to selected websites, articles, and books for deeper informational dives and recommends ways to connect with the geospatial community. I applaud the authors for advancing all ecological disciplines with this text. Through this guidebook, they open the doors to the geospatial revolution that is taking our science and its applications to new heights.